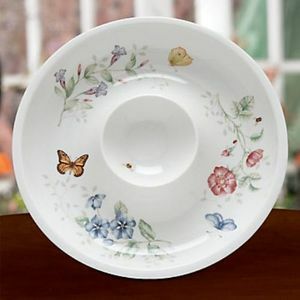 inserted textAcres of flowers on the tiny Channel Island of Jersey attract butterflies galore - the yellow tiger swallow, the black and orange fritillary, and the regal monarch. 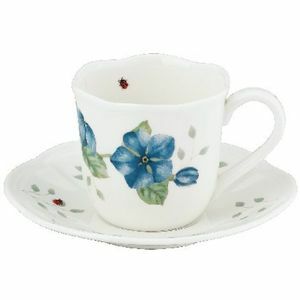 And all were favourite sights from artist Louise Le Luyers childhood on the island. 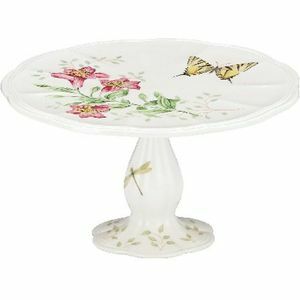 These beauties were also the inspiration for the superb designs Louise created for the Lenox Butterfly Meadow collection. 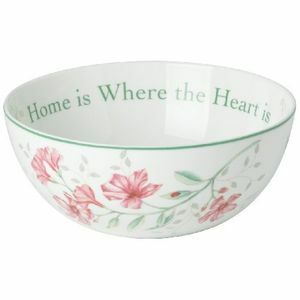 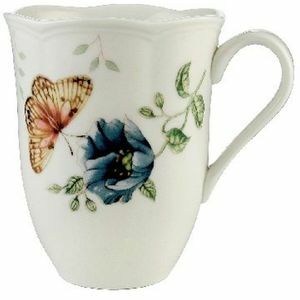 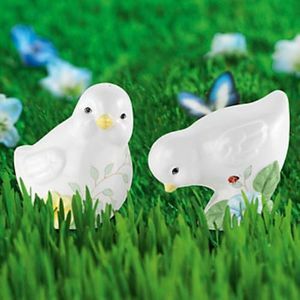 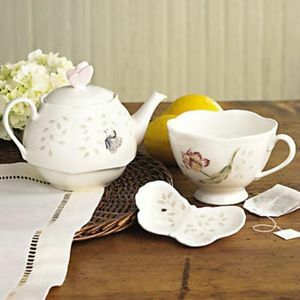 Louises watercolour artistry recreates a garden of blossoms and winged jewels in fine white porcelain for your home. 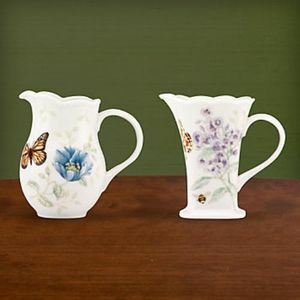 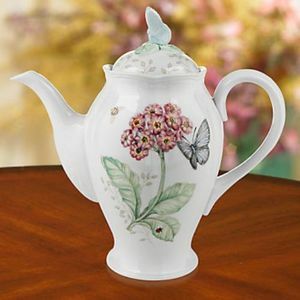 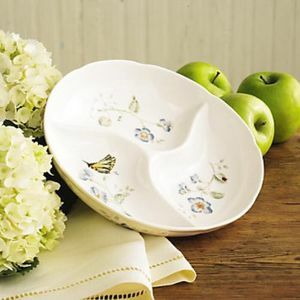 Butterfly Meadow china dinnerware and giftware features monarchs, tiger swallowtails, orange sulphurs, other winged species and even dragonflies.